The company was founded 2010 with the goal to develop, produce and market instruments and related concepts primarily based on GC-UV technologies to the medical diagnose market. A working group was set up with competences that includes most of what was required in order to complete the project and successfully build the company. The initial work group was at the same time founders and main owners. The group has been expanded with additional members. The technical work is to a large extent carried out by the founders, company staff and by external consultants to increase the competence and flexibility. The founders comprises by far the most experienced scientists in sub 250 nm absorption spectral of substances in gas phase with starting in the early 1980-ies and very well experienced entrepreneurs with extensive experience in transferring ideas and R&D to world recognised and leading products. Chromalytica possesses proprietary rights to the world’s largest digital database of continuous sub 250 nm absorption spectra of substances in gas phase with today close to 1400 spectra and a growing number of patent applications. 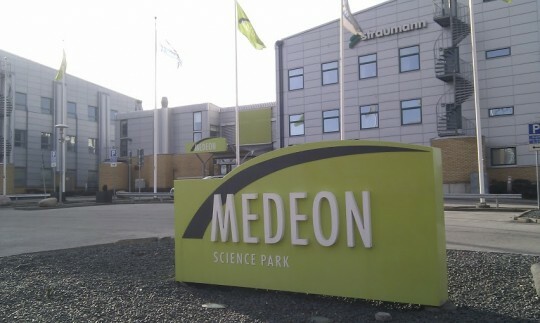 The company has its main operation at Medeon Medical Science Park in the city of Malmo in Sweden. Chromalytica has initiated 2012 to operate according to the following standards: ISO 9001, ISO13485 and ISO14001. Chromalytica AB is a privately held Swedish limited liability company operating under Swedish laws. Fiscal year is calendar year.